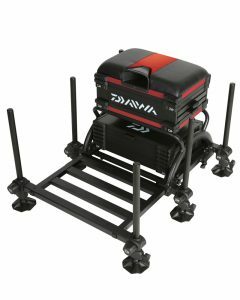 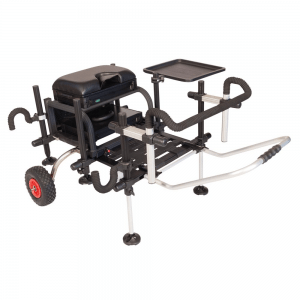 The Space Shuttle is a specially designed barrow style tackle transporter, that has been developed to carry the Space Station, XBox and other seatboxes using the additional converter bar (supplied). The design also provides a large luggage loading area for carryalls and an additional removable Utility Bag between the handles for clothing, pole rollers etc. 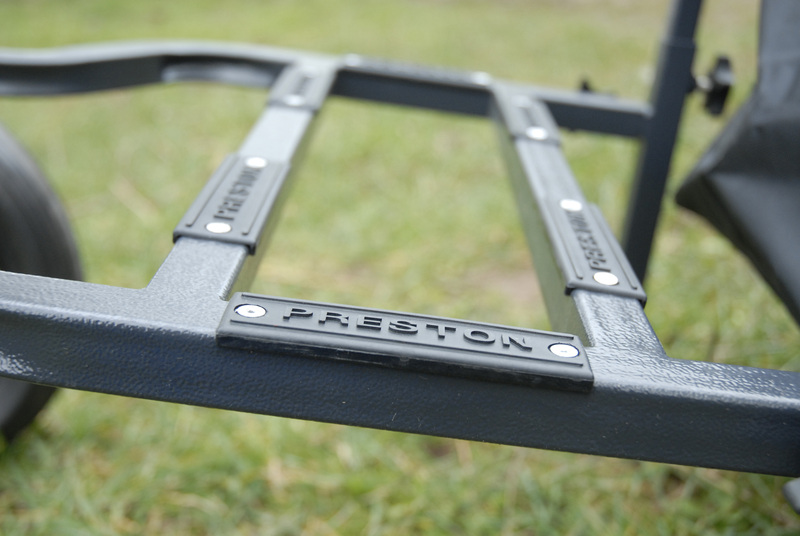 In addition the Shuttle handle bar system incorporates a foam covered cross bar that can be used to support rod holdalls. 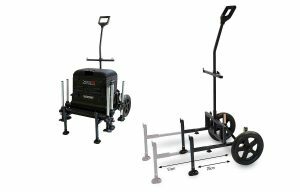 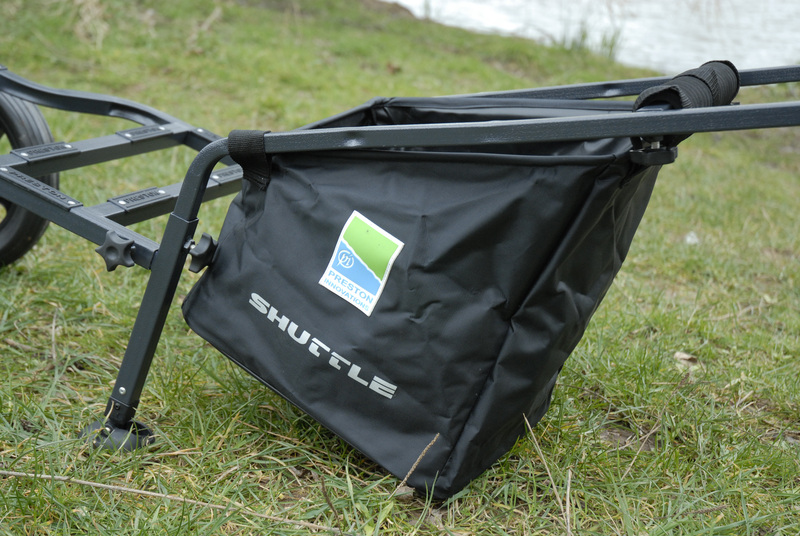 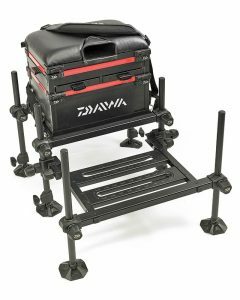 Once the Shuttle is loaded, its design enables the angler to transport a complete set of tackle with ease compared to traditional seat box trolleys. 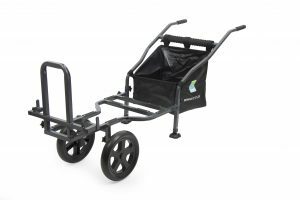 This has been achieved by positioning the wheels directly beneath the heaviest part of the loaded shuttle, giving optimum balance. 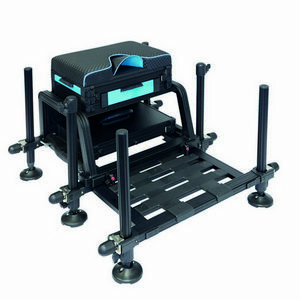 The Shuttle can be quickly assembled and dismantled to fit comfortably inside most car boots.